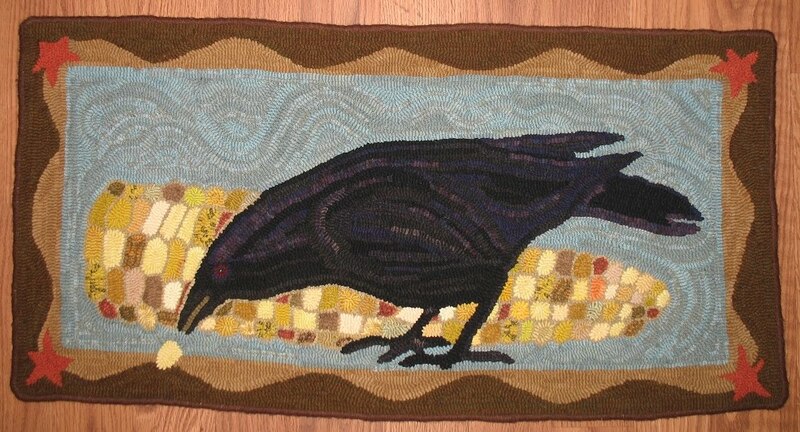 Totally-Hooked Rug Hooking Escapades: CROWS ! ! ! ! CROWS ! ! ! ! 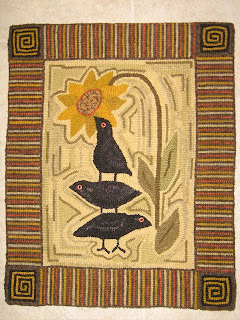 My Mom - Lois Latham - is into hooking crows at the moment. Here are two recent rugs that she has completed. I love both of them. I love both of them also. Your Mom did a wonderful job. Talent obviously runs in the family. I hope your transition from vacation to work was smooth. Oh yes, great rugs. Love that ear of corn. That crow looks so real, like it might take flight at any moment. I too am a crow lover... in any medium other than real life and both of these are really cute. These are both wonderful! I love the texture in both backgrounds. It's a gift to hook with your mother - I hope one of my kids takes it up. Did you and your mom hear the wonderful CBC segment on how smart crows are? It was on CBC 2 a while back - I'm sure you could find it if you went to their website. Amazing stories of how smart they are - from their tool making to their loyalty. I saw the Nature of Things episode that you are referring to - it was truly amazing... who knew these birds were super smart and super social? Wonderful! Love crows... and wish I had see the program mentioned above. Great colors and designs! 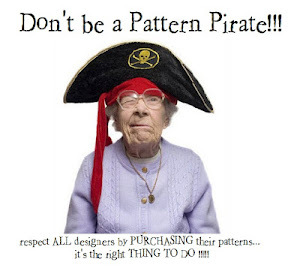 I've been following your blog for awhile now, I think you, and your work are wonderful! I'm always looking forward to seeing what you will post next. I love the crows. In the past I've seen you post some things about my Grandmother's (Sharon Townsend) rugs as well as some photos of wool that you have dyed using her formulas. I thought you might be interested in knowing that she has a new website. 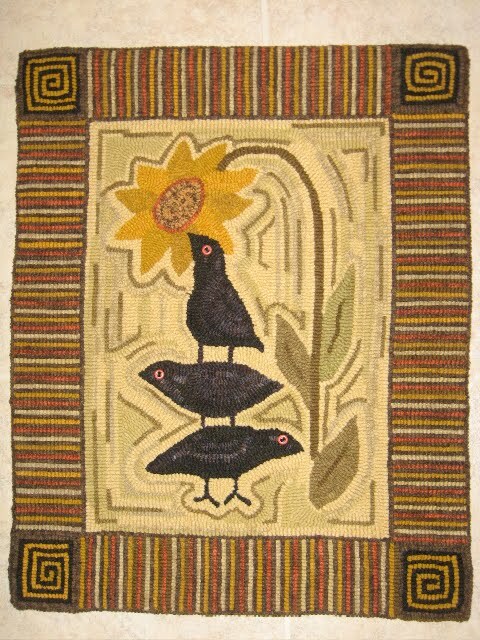 It's called Wild Flower Fiber Arts, here's the link: wildflowerfiberarts.com/ . I look forward to more post. Happy Hooking! Tony! ] I miss your posting! How are you?